Happy Thursday at The Masters everyone! Spring is officially here! We live in a society where we are always connected and business is happening 24/7/365. In competition with that, however, I also love playing golf! Being disconnected for four hours from a business can seem overwhelming – especially when you are the one running the business. With that said, some of the best lessons I have learned about being an entrepreneur can directly relate to the greatest game. 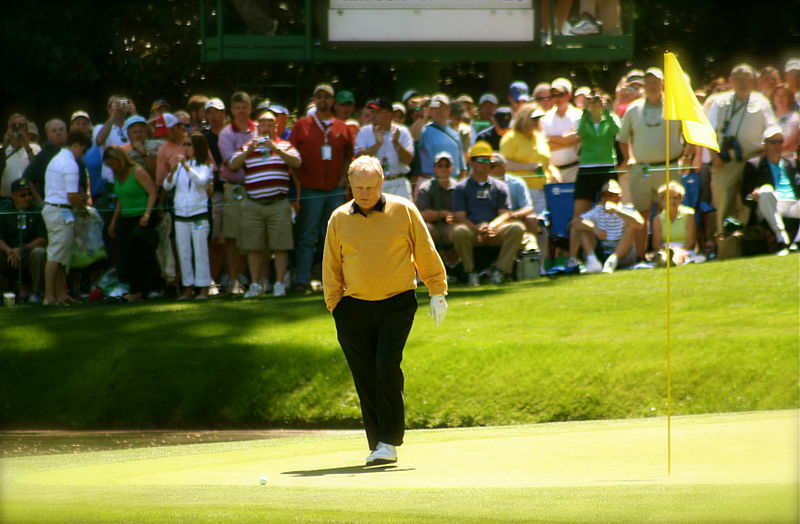 Below are the five best business lessons I have learned on the golf course – including some great insights from one of the game’s greats, Jack Nicklaus. Thanks to BrainyQuote for help finding so many great Jack Nicklaus quotes! The right tool can make all the difference. Every club has a purpose and, when used properly, can give you the best chance at that great shot. Starting a company is no different. There are certain things that you have to get by with, but there are also areas of every business where you need a quality tool. When running a company… don’t skimp on the tools that will make the biggest impact to your business. Slow and steady. Running a business, and certainly starting one, takes concentration and focus. Be methodical about what you are doing and swing the club with a purpose. The way you practice will directly drive the way you execute for real. When running a company… make sure you plan and execute with deliberate, sustainable motions. Golf is stressful, and so is work. From my experience, however, neither of those is as stressful as starting a company. Don’t forget to prioritize and stay focused. If you stay calm, your team will stay calm, too. And calmer heads will always make better decisions. When running a company… don’t be that guy (on the course or in the boardroom) who throws his clubs in the water! I have been known to swing too hard when golfing. I think I can muscle the ball and it will do what I want. As anyone who has ever spent time on a golf course knows – the result of this approach to hitting the ball will undoubtedly be a terrible shot. When I relax, swing easy, and let the club do the work the result is much better and much more consistent. When running a company… be sure to put the right people and tools in place and then let them do their job. Micromanaging, over managing, and excessive oversight will always yield negative results. You can’t always do what you love, but you absolutely have to love what you do. There are things about running a business that you will not enjoy, but if you do not enjoy the day-to-day – perhaps its time you found something else to do. When running a company… make sure you wake up every day loving what you do, and take some time to have fun in spite of the stresses and struggles you will face. Hope everyone who watches The Masters this weekend enjoys the tournament. And of course, while I can’t pick Jack to win The Masters this year (or Tiger, either! ), my pick to win is… Rory McIlroy. What lessons have you learned about running a business on the golf course? Who do you think is going to win The Masters? I’d love to hear in the comments below!